Do you like dinosaur games? Do you want to be a real hunter? Let’s go! Dinosaur games | Juegos de dinosaurios ? This is a new survival craft with dinosaurs. You will live on the island in the neighbourhood with these fantastic creatures which are playful and very dangerous! All in all, you will get a lot of crafts and battles within three islands in the ocean where your prime objective is to survive! Survival is not as simple as it seems. You need to craft weapons, look for food, build a shelter... Your base goal is quite straightforward - survive on the island in the ocean. 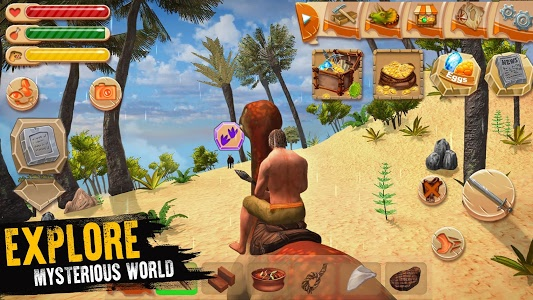 The island offers a great variety of vital resources and materials: beat wood from trees with your own hands, collect stones, and make weapons. Dino hunter | Juegos de caza ? Be careful, because not only you're hunting in the forest, but also you're being hunted. It's dangerous and breathtaking land with tropics, inhabited by dinosaurs also called dragons. Juegos de caza gratis! Jurassic | Tame dinosaurs ? 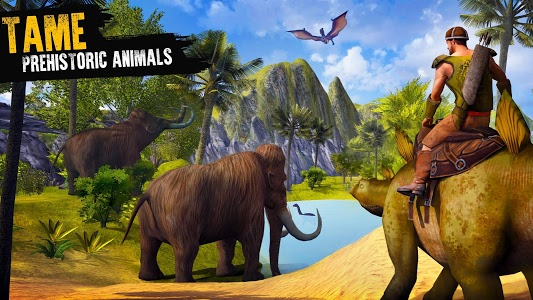 Now you can not only hunt dinosaurs, but also tame them. Feed them with meat and berries. Your pet can protect you in dangerous fighting with other monsters. So what are you waiting for? Tame your first dino! Don’t forget to feed and take care of it! Juegos de dinosaurios gratis! Jurassic | Grow your own dragon ? Your dragon is a real hunter! It can run and attack, fly in the sky and walk noiselessly. 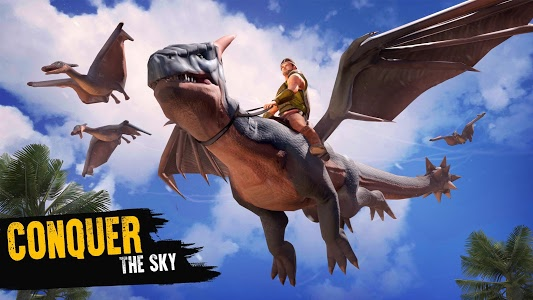 Hunt dinosaurs, and your best friend will always be there to help you on the isla! While fulfilling various tasks in your mini book, journal and map, you can earn money and gold which enables you to buy any resource or real object. Use resources to upgrade your hero! Gifts and bonuses | Isla ? There are a lot of opportunities to survive on this island in the ocean – collect bonuses and use them to upgrade your hero! 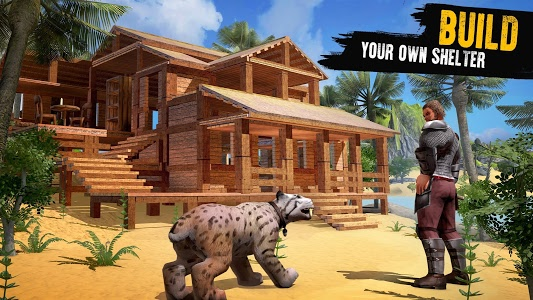 One of the best survival games is waiting for you! 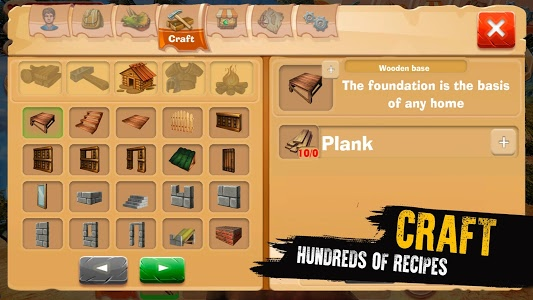 Craft resources and weapons to build a shelter. You can make any weapon you want - spear, bow and arrow etc. Build a house to protect yourself. The best survival craft is here! Try to survive in the ocean! Enjoy dinosaur games for free! Juegos de supervivencia gratis! Open world. Discover ancient lands with dinosaurs and explore deep secret places. But watch out! The Earth is full of dangers! ?️ We have added Pixel Mode! Now you can survive in the pixel world! Pixel animals are already here! Your Cape Lion is waiting for you! 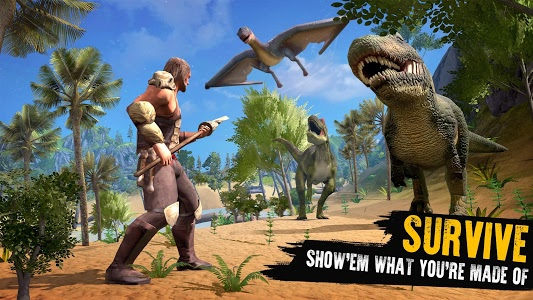 ?️ This is one of the best survival games and dinosaur games ever! Play new Pixel Mode! Grow your own pix dino! 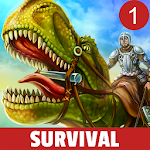 Similar to "Jurassic Survival Island: Dinosaurs & Craft"